UP Police Constable Exam Revised Answer Key 2019: Uttar Pradesh Police has issued the Answer Key on 13 Mar 2019 for UP Police Constable Exam Revised Exam 2019. Answer Key can be accessed from the link given below. 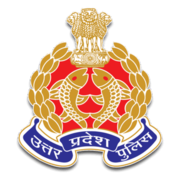 UP Police Constable Admit Card 2019: Uttar Pradesh Police has issued the Admit Card on 23 Jan 2019 for the exam which is scheduled to be held on 27 Jan 2019 to 28 Jan 2019. UP Police Constable Female Revised Result 2019: Uttar Pradesh Police has announced the Result on 19 Jan 2019 for UP Police Constable Female Exam 2019 . UP Police Constable DV/PST Phase II Admit Card 2018: Uttar Pradesh Police has issued the Admit Card on 27 Dec 2018 for the exam. 12th Class Exam Pass from recognized Board. On the basis of Written Examination and PET. Eligible candidates may apply online at UP Police's website (direct link is given below) from 19 Nov 2018 to 08 Dec 2018. Candidates log on to https://uppolice.gov.in/.